Shared mobility among users has become a fashion these days for users. With the rising trend of e-scooter sharing apps, there are many startups who joined the competition of mobility sharing business. These startups have made it to IPO in just a few years of time. One such startup that has made it from the garage to the streets of Madrid, Spain in less than a year is Movo Scooters. 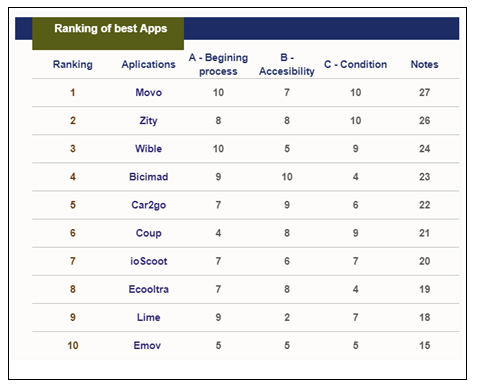 According to a study conducted for knowing the best e-scooter sharing apps and their rankings, Movo secured the first position for itself. Here is the data of study and the parameters that were considered for providing the ranking for the electric scooter sharing app. 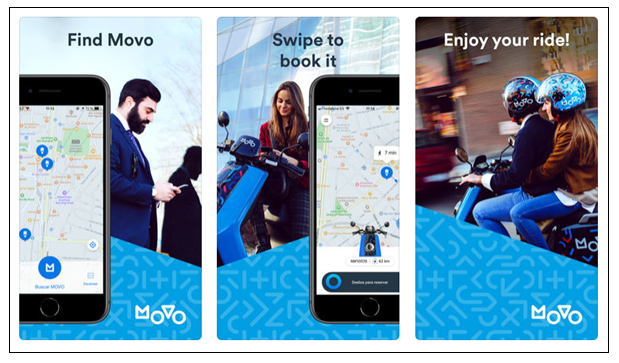 According to the latest report in Techcrunch, MOVO has raised $22.5 million funding and is all geared up to expand and explore the streets of Latin America. How did the MOVO micro mobility manage to come this far? 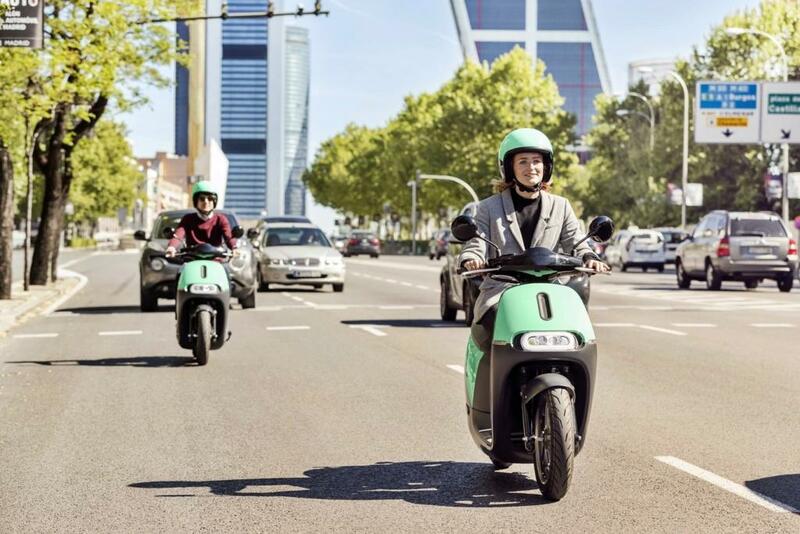 The Movo scooters have started its business just before a few months before dropping more than 500 electric motorcycles on the streets of Madrid. Its scooters are also operating in four Latin American countries as of now. The company is expanding steadily with the help of Adyen platform. The company was first started in a garage in Madrid. It faced challenges with the resources like every startup but was dedicated to making it big in the motor sharing sector. The founder Alvaro Pellejero didn’t want to lose the opportunity to make the company’s benchmark in the shared mobility sector. He had seen that the electric scooters were experiencing great momentum in big cities like Madrid. The Adyen platform became the key tool for simplifying and accelerating payments. The Movo scooters needed a platform that integrated seamlessly with their e-scooter app and assured secured payments for the users. The Adyen platform fulfilled 3 main requirements of the company – time, user experience and scalability. The growth of scooter sharing is just not restricted to only one part of the world. It is spreading everywhere and has seen tremendous growth in the last year. 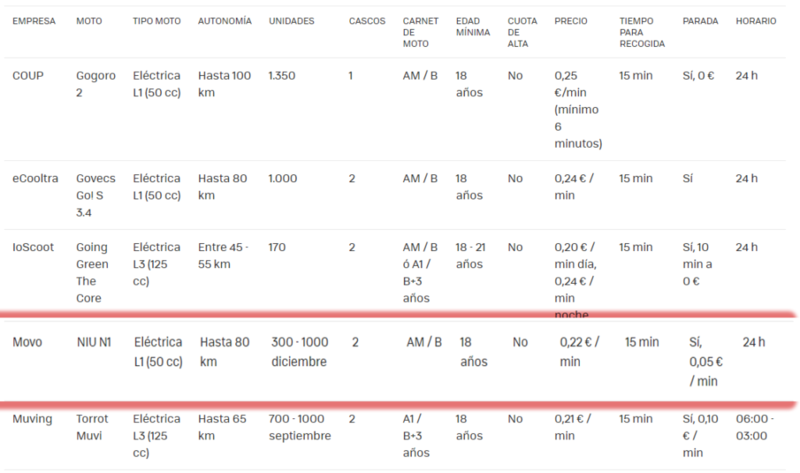 Movo scooters too is expanding its services to the roads of Chile, Peru, Colombia and Mexico. E-scooters much have won hearts of people in the year 2018, but in slowly it was feared that they will be soon forgotten. The e-scooters were imagined by science fictions writers as the means of traveling from one point to another within just a few minutes. No matter what time of day it is or how the weather is, the idea of scooter sharing companies was to provide the services at affordable prices to people. But it does not work for long as the scooters are not too sturdy to handle continuous transportation of people. The e-scooter companies have noticed the threat to e-scooters as many of the e-scooters have got stolen and even a few have met with terrible accidents and even have caught fire in the middle of the ride. The scooter sharing companies have experienced bans on them because the governments didn’t feel they were safe enough and there was a risk suspected to people’s lives. The scooter rental startups faced a situation when they expected the people to share their rides and enjoy them. The people surely did ride the shared scooters for quite some time but later on, they preferred buying an e-scooter as a better option. People became of the opinion that instead of spending money every day, they would make a one-time purchase and enjoy their ride for free every day. How did the e-scooter sharing startups tackle these challenges and how they emerged successfully? While the scooter sharing companies faced so many challenges, they came up with some great ideas for survival. They implemented a few things that led them to emerge victorious even in the most trying period. Here are the few strategies that made these startups earn profits when most losses were expected. The scooter sharing startup companies like Movo began creating user-friendly e-scooter apps with all new and improved features. These apps made booking an e-scooter just a piece of cake. The registration for the e-scooter app was done with a click of a button where the user just needed to provide the driving license number. The users could book the micro mobility vehicles just with a few taps on their mobile screen. 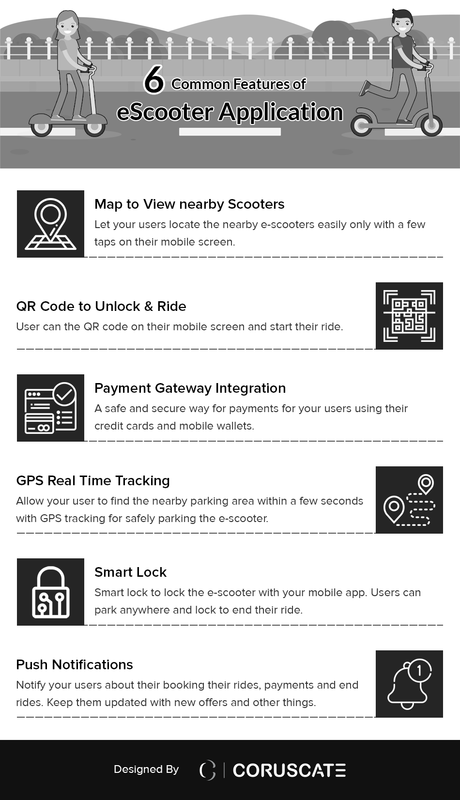 The safety features like an automated lock with QR code, improved tracking system, user reviews, and ratings, push notifications and payment integrations enhanced the e-scooter apps. The users even kept a record of their ride history. Many e-scooter startup companies like Lime, Bird, and VOI collaborated with the city municipal corporations and tried to spread safety awareness among the e-scooter riders. They made sure the riders know the importance of helmets and made wearing helmets mandatory. They even spread awareness regarding taking care of the e-scooters as the riders own them. The riding prices were made more attractive in order to attract more and more user each day. The e-scooter parking areas were kept separate which made sure that the riders park the scooters only in parking areas instead of leaving them anywhere on the streets. The startups soon realized that the scooters made in China or ordered from Amazon were not sturdy enough and required a lot of investments which went waste once the bike was damaged. A few companies collaborated with manufacturers of e-scooters and a few others started manufacturing their own sturdy e-scooters. The measures taken by e-scooter startups led the e-scooter businesses to bounce back to making profits and creating more and more scope for e-scooters across the world. As of now, there is a wide scope of investment in the scooter sharing business. According to motorpassionmoto.com, even the Harley- Davidson are interested to dive into the shared scooters sector. How soon can you start your e-scooter business? There are successful startups all over the world who have generated huge revenues through the e-scooter business. Considering the growth of startups like Lime, Bird, Yellow, Grin, Scoot, VOI and now MOVO we can actually conclude that the mobile e-scooter app was a common element that had lion’s share in their success. Check out the 6 common features of the e-scooter apps. Here is a chart of different scooter sharing services along with their pricing structure which you can also refer to if you are thinking about entering the e-scooter business. The first and the foremost requirement for launching your electric scooters on the road is getting an absolutely user-friendly app with trendy features. We have developed 50+ e-scooter apps till now and have entertained over 2000+ queries regarding the same. Connect with us through the contact us form to ask for a free demo and you can even refer to E Scooter app development page to know more about e-scooter app development. Why go anywhere else when the experts are right here to help!